Yeh Hai Mohabbatein Secret conspiracy. Shagun tells Ishita that Rohan deserves a second chance at least for Aaliya’s sake. Karan tells Rohan that he wants to stay with him. Rohan seeks permission from Iyers to get a stay for Karan. Bhallas and Iyers decide to support Rohan and Karan. Sudha wants her sons to come back with her. She faces humiliation by her own sons, who deny to have any relations with her. Yug wants to meet Aaliya and know her address. His friend helps him and tells the vehicle number he has memorized. Yug gets happy to get a big clue. Sudha turns depressed with Karan’s anger. Karan explains her that he is just doing this drama for being with Bhallas and informing her about their plans. 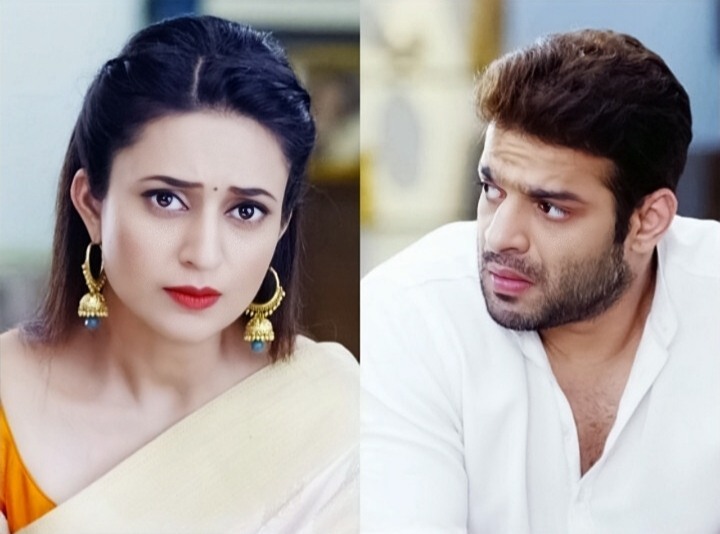 Ishita and Raman worry when Karan stays with them. They want to know if Ruhi is comfortable. Ruhi tells them that she doesn’t care for Karan. She tells them that she can’t believe Karan’s change. She knows Karan well. She wants to test him. She spies on him and learns about his drama with Sudha. Karan tells Sudha that he loves her a lot and is doing everything to get Rohan back. Ruhi gets angry on Karan. Sudha tells Karan that she loves him a lot. Karan finds Ruhi spying on them and does a drama once again. He involves Sudha in his drama as well to convince Ruhi that he has changed. He is having a secret conspiracy against Bhallas. Ruhi wants to be sure if Karan has really reformed. Meanwhile, Yug gets the vehicle details with the help of his friends. He gets the car owner details. He doesn’t want to wait more. Moreover, Aaliya’s life gets surprising when she decides to give another chance to Rohan. Shagun and Ishita support her and want Aaliya and Rohan to unite. They pull Aaliya’s leg and asks her to call Rohan for dinner. Ishita tells Raman that Rohan and Aaliya should move on in their marital life, since its proved that he has turned nice. Rohan asks Karan not to take tension and bond with Bhallas without feeling guilty. Rohan dines with Bhallas. He likes the food. He tells them that its like his favorite food. Shagun and Ishita reveal him that Aaliya has got his favorite food with love. Rohan gets thankful to her. Shagun tells them that Mani would have come home. Yug reaches Mani’s house to find Aaliya. He realizes that he has come to the same house before to meet Shagun. He meets Shagun and surprises her. Shagun gets scared seeing him suddenly. She doesn’t want Mani to see him. Ishita and Raman get icecream for Shagun, while Yug hides from them. Yug gets crazy to know about Aaliya. Yug wants to apologize to Shagun. His friends ask him to meet her later on. Shagun tells Ishita that Yug had met her suddenly. Ishita asks her the reason. Shagun has no idea about it. Raman tells Ishita that he knows about her plans to unite Rohan and Aaliya. She gets adamant that she will bring them together, since they deserve a chance. Aaliya and Yug finally come across each other.